Come visit a beautiful area, just 30 miles from London! Ideal base for a West End show, and a relaxing weekend afterwards! Catch a train from anywhere between Birmingham and London; easy access from M40 and M4. Heathrow is approximately 40 mins drive, depending on time of day. Lots to see and do-walk the Ridgeway or the Phoenix Trail; visit National Trust properties, the Roald Dahl museum, Bekonscot model village,Tiggywinkles, this is Midsomer Murders country too! Visit Speen Buckinghamshire and the surrounding villages and stay in bed and breakfast, hotel or self catering cottage accommodation provided by BedPosts members. The Chilterns village of Speen, in the parish of Princes Risborough, Buckinghamshire, has a population of about 700. Close by is the Prime Minister's country residence named Chequers. 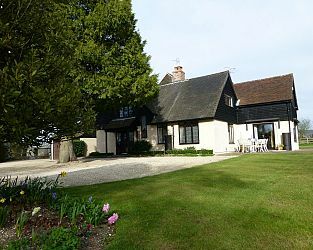 If you seek accommodation near Speen in Buckinghamshire you have come to the website of a “club” of providers who offer affordable quality accommodation around UK in hotels, bed and breakfasts, guesthouses, inns, and restaurants plus self-catering cottages and apartments .